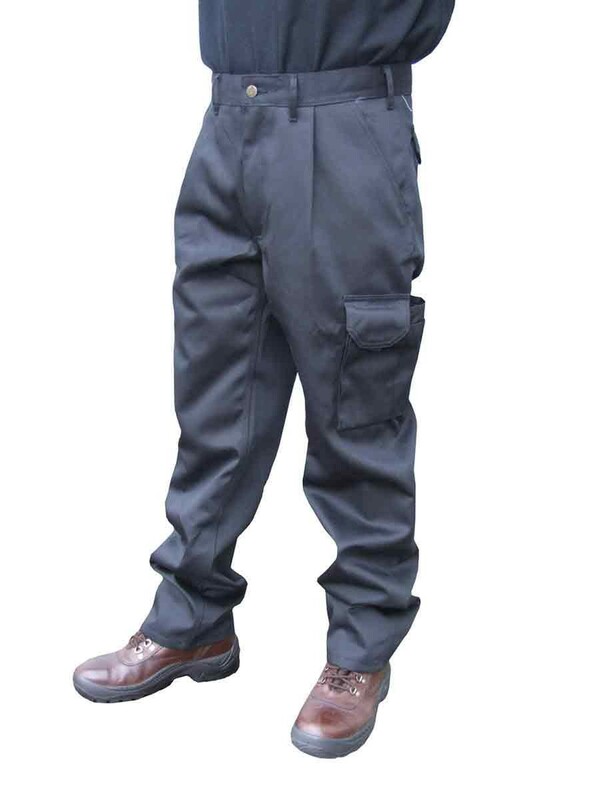 A pair of heavyweight cargo trousers with triple stitched seams. 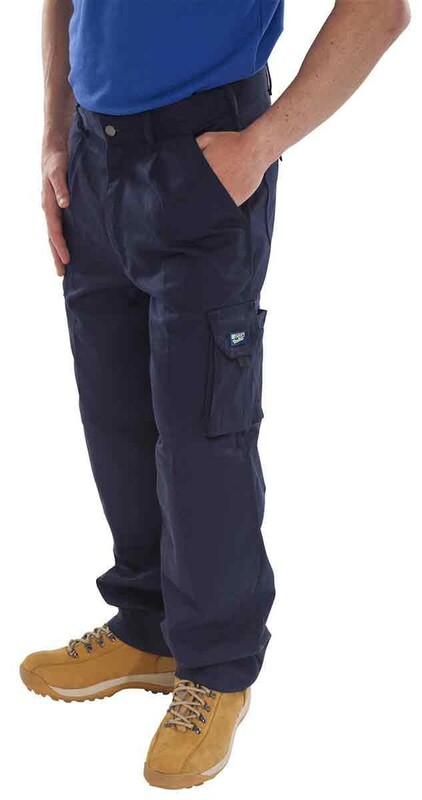 Click Traders Newark trousers are constructed from heavy duty 320gsm 65/35 polyester / cotton. Two large cargo pockets on the thighs. All stitches are triple stitched for extra durability. Two side pockets and two rear pockets with Velcro fastened flap. Internal knee pad pouches accept a universal knee pad. Bought for my brother for work. Perfect sizing. Comfortable and good quality. Highly recommended. Oh and easy to care for.